FASTJET.COM is the first pan African low cost airline, created by the founder of EasyJet. The airline has its main base at Dar Es Salaam (Tanzania), but it will open more bases, in Kenya, Zambia, in Nigeria and South Africa. 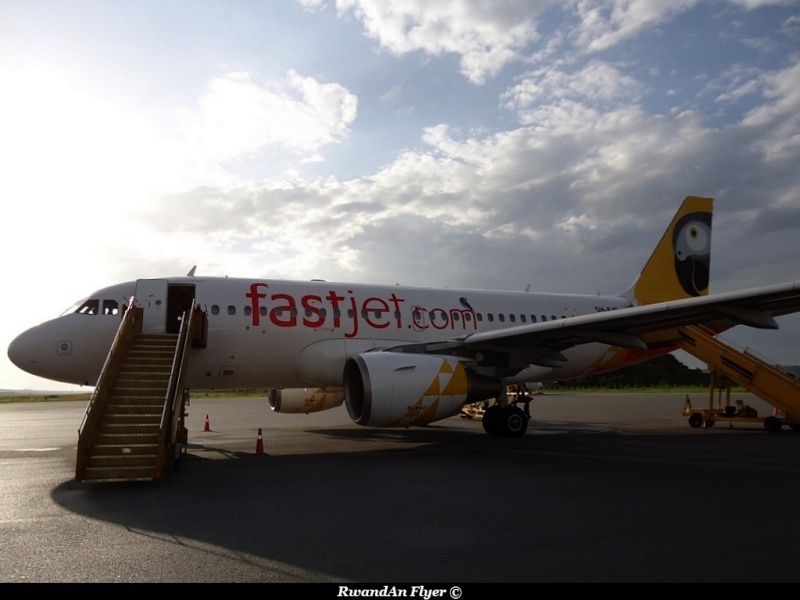 FASTJET.COM has a fleet of 3 A319s, they currently serve Mwanza, Zanzibar, Entebbe, Lusaka, Johannesburg and Kilimanjaro in Tanzania. In November 2014, the airline got the permission from Uganda to fly between Rwanda and Uganda. Flights could be start in 2015.